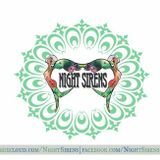 Night Sirens is a party and radio show series where mostly female musicians, DJs, artists and singers can show their skills. The female exclusivity is only to the performers, the Night Sirens warm up event welcomes anybody regardless of age, gender or musical taste. Resident DJ and organiser is Stormy Lee (HU).